As theatre fans ourselves, one of our favorite DC venues is Arena Stage. Surrounding ourselves with a space that encourages the creation of art, and particularly music and acting inspires us to create for our couples. Knowing we are standing in the place where musicals, such as Dear Evan Hanson were birthed while capturing a couple join their lives together thrills us. Arena Stage is a rich part of DC's arts history. Founded in 1950, this not for profit performing arts center is the second largest in DC. It was awarded a Tony in 1976 for theatrical excellence. The three theatre complex continues to bring new and exciting productions to our nation's capitol. For couples that share of love of the theatre and the arts, the glass curtain walls, theatre spaces, and balcony with views of the Washington Monument, this location is just what you are looking for. The staff ensures your event runs smoothly, and the approved caterers are all top DC kitchens. 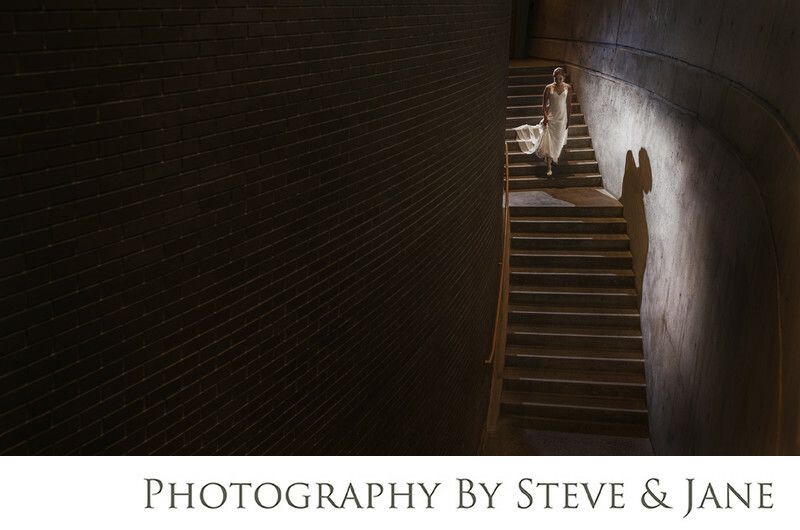 We'd love to capture your Arena Stage wedding. Contact us at info@steveandjane for more information!